Activities | SPARK! Creative Artspace. Let us Spark! your Art! A couple of years ago, when Spark moved into its current home, it put out the call for a piano. Elaine Williams came to the rescue with an upright piano that turned out to be broken beyond repair. L-R: Tati Weaks, Elaine Williams, Mike Chapman, Jennie Wenker, David Weaks. A working piano was found and the question became what to do with the broken one. A couple of the members gutted it and re-purposed many of the parts for other creations. Until saner heads prevailed many of us thought it would make a perfect sign hanging above our front entrance. Finally realizing it was still to heavy for that and none of us was an engineer that idea was abandoned. 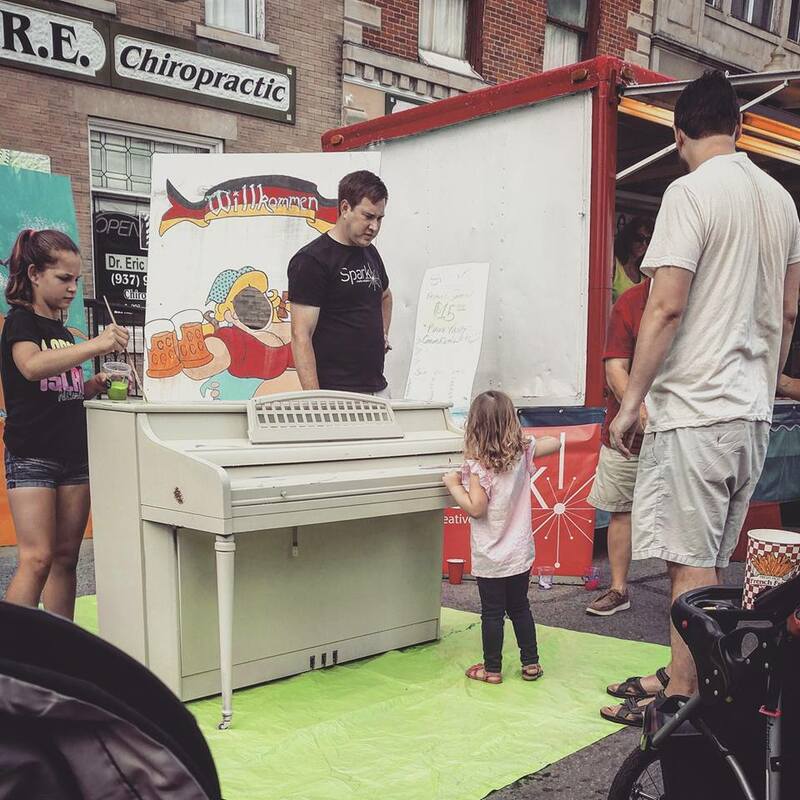 The answer came the Friday of the annual festival when the piano was sprayed with a coat of beige paint and the next day wheeled up to Spark’s booth space. A variety of acrylic paint colors and brushes were provided and passing children were invited to play a part in making art. 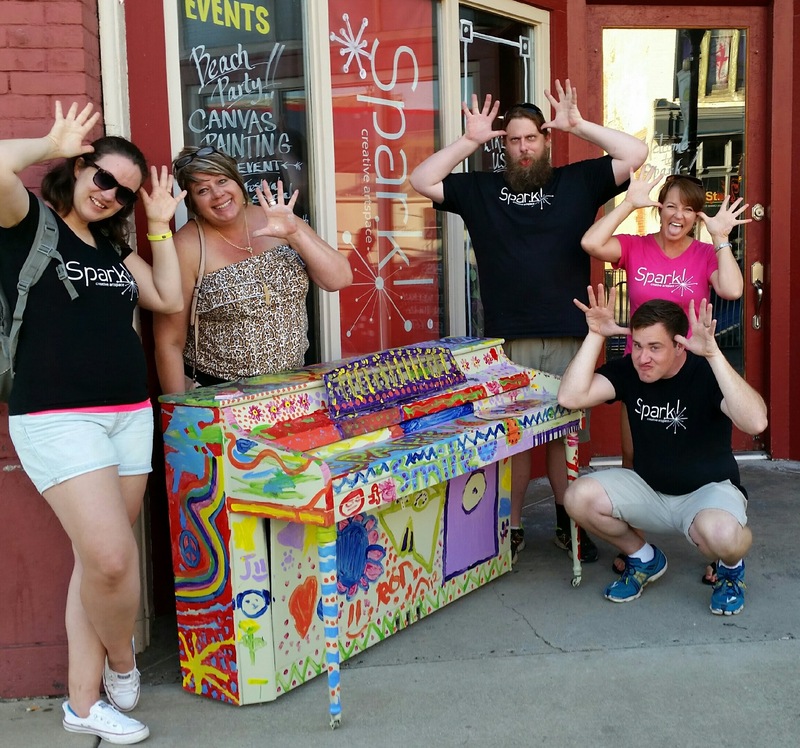 The end product was fantastic and the piano will now be mounted on casters and wheeled out onto the sidewalk as our official “OPEN” sign for Spark activities. On Saturday, October 31st Jayne Honnold held another of her sewing and quilting workshops at Spark Creative Artspace. The accompanying photo tells the story. 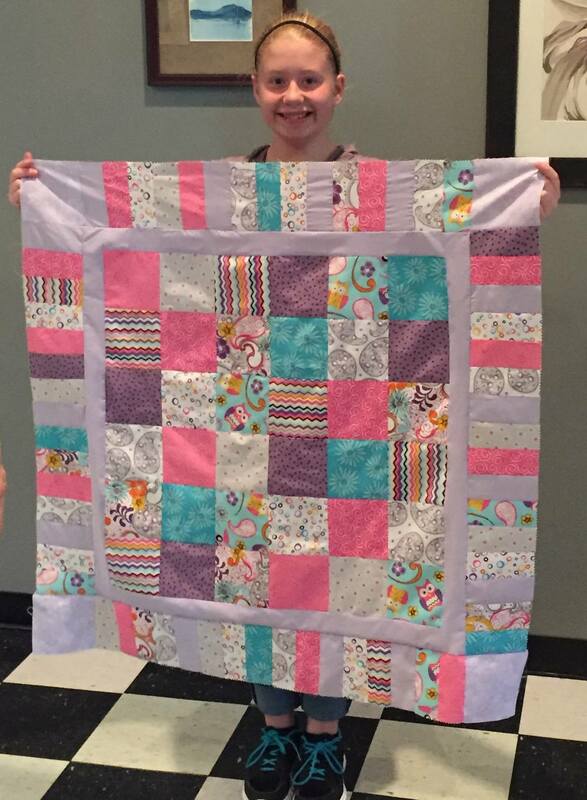 A young girl holding her first self-made quilt, something that may become her passion in life or a creation that a may become a family’s heirloom. Something that future grandchildren may wrap up in and think about the love their grandmother left for them. 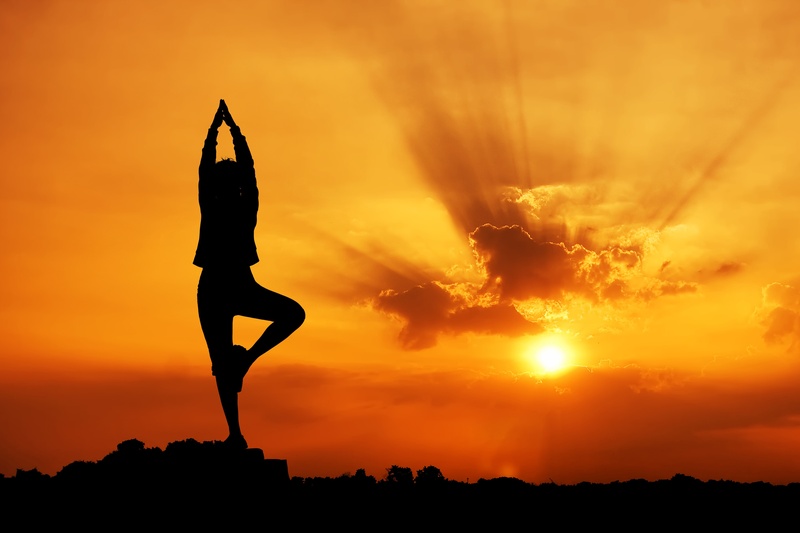 YOGA EXERCISE SESSIONS with Cindi Pearce at Spark, 251 Jefferson St. in Greenfield. The Wednesday evening sessions will begin on September 2nd from 6-7 pm. 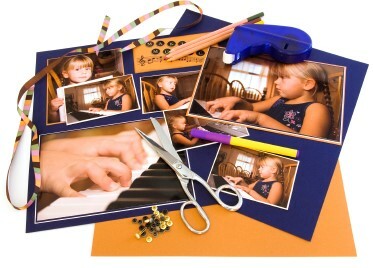 Cindi also has sessions on Mondays from 11-12 am. Just show up wearing something stretchy! Cindi Pearce may be reached at 937 981 3040. On Monday, May 27, 2015 Spark put out the call for bikers, trikers, and strollers of all ages to come decorate their vehicles in red, white and blue and join together riding in the annual Memorial Day Parade. Susan Thompson graciously donated all the materials and twenty young riders heeded the call and helped celebrate the memory of our nation’s veterans. Hey kids! Memorial Day is Monday, May 25 and SPARK Creative Artspace ​is sponsoring a bicycle decoration entry in the annual parade for children of all ages. 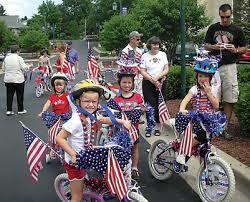 Just bring your bikes, trikes, and scooters to the Greenfield School Colonnades at 9 am and we’ll provide you with all the red, white, and blue materials you’ll need to make favorite ride stand out and be proud for America. Susan Caplinger Thompson is donating the supplies and Spark members will ride their decorated bicycle along with you in the parade. On Saturday, March 21, 2015 Spark held it’s first workshop in making primitive roots instruments and all who participated went home with a smile on their faces and hopefully a tune in their heart. Here’s a photo gallery of the event.